I may have mentioned this once or twice, but before kids, I used to work in the corporate world, as in I had to wear slacks and all. I used to love my work outfits and dressing up, what I don’t miss is having to work in the corporate world. This post is in honor of my working gals that want to participate in Valentine’s Day, but without dressing up in all red, or pink. 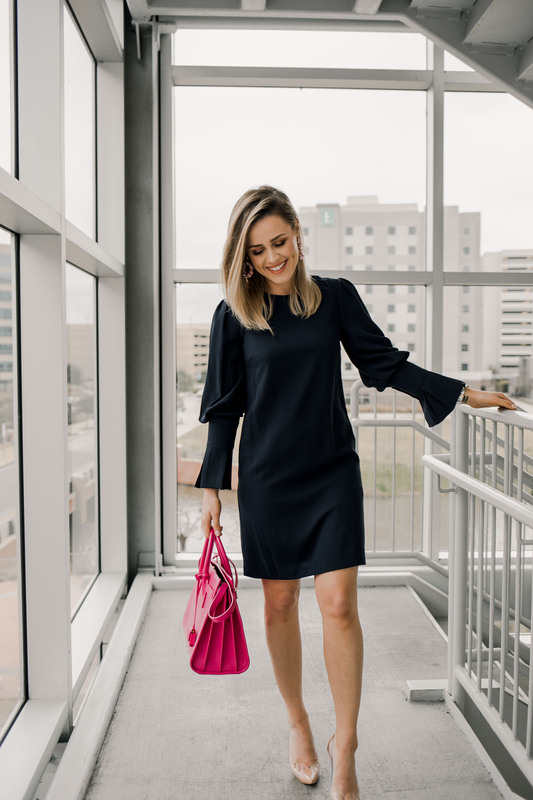 I am also fully aware that not every girl loves pink as much as I do, and not many women even like wearing that color (like any color AT ALL), which is why an outfit like this is not only perfect for valentine but even for date night! 5 ideas on what to wear to work for Valentine’s Day. Keep your outfit simple! Less is always more. Add color to your outfit with accessories! Jewelry tends always to be the safest way to show a little bit of personality while remaining chic in the corporate world. Add a bold red lip or even a pink lip. My favorite pink at the moment is the Candy Venom by Fenty Beauty; it’s a gorgeous color! If red isn’t your color, try a blush pink instead! Avoid heart prints in the workplace… just don’t. ^ Side note, I have wanted clear heels for the longest time, and I FINALLY snagged these Schutz heels, and I LOVE them. 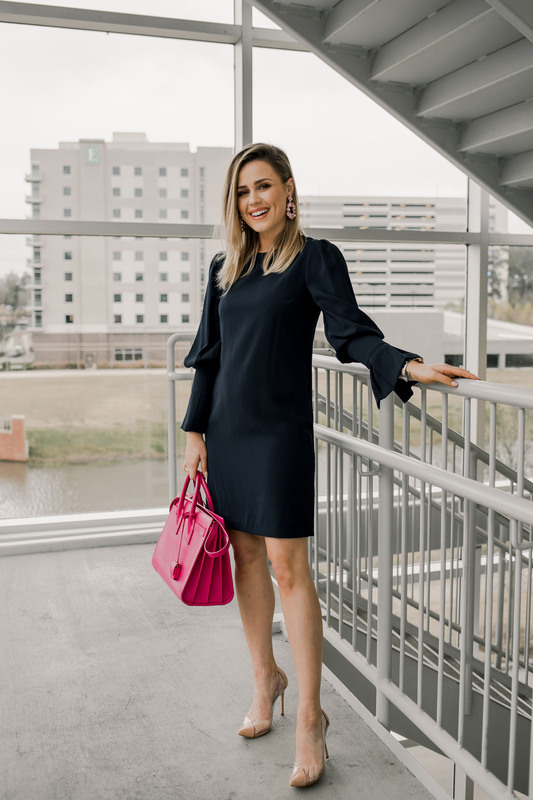 Schutz Shoes are probably the most comfortable heels I own, I have had several heels, and they are all very comfortable. The condensation and sweat on these are not my favorite part, but I still like them enough to wear them. I love how they make your leg look leaner and longer! If you’re a working gal, what is your valentines day outfit? Share below! Also, stay tuned for his and her date night look for Valentine’s day coming soon!